Exhibition Design for Galleries and Museums: an insider’s view provides access for galleries and museums to current views on exhibition design, trends and methodologies. Price include GST, P&H. Twenty industry experts, designers, curators, directors and preparators, will examine: touring exhibitions, university galleries, design for informal learning, green design, heritage buildings, natural history exhibitions, regional galleries, community museums as well as ethics, art, multimedia, multicultural exhibitions and immersive exhibitions. 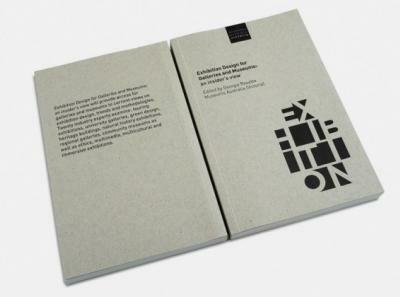 Title: Exhibition design for galleries and museums : an insider's view /​ edited by Georgia Rouette. Published: Carlton South, Vic. : Museums Australia (Victoria), 2010. Physical Description: xviii, 174 p. : ill. ; 21 cm. Exhibitions -- Design and construction. Museum exhibits -- Designs and plans. Art museums -- Exhibitions -- Management. Summary: Provides access for galleries and museums to current views on exhibition design, trends and methodologies. Twenty industry experts examine: touring exhibitions, university galleries, green design, heritage buildings, natural history exhibitions, regional galleries, community museums as well as ethics, multimedia, multicultural and immersive exhibitions. Notes: Contributors: Tony Ellwood, Ted Snell, Georgia Cribb, Brian Looker, Michael J. Ostwald, Garrett Donnelly, Tony Birch, Karen Quinlan, Carole Hammond, Glenn Ferguson, Gabrielle Tydd, Jane Deeth, Euan McGillivray, Diana Lorentz, Alison Inglis, Bernice Murphy, Padmini Sebastian, Stephen Huxley, Anita Kocsis, Carolyn Barnes.